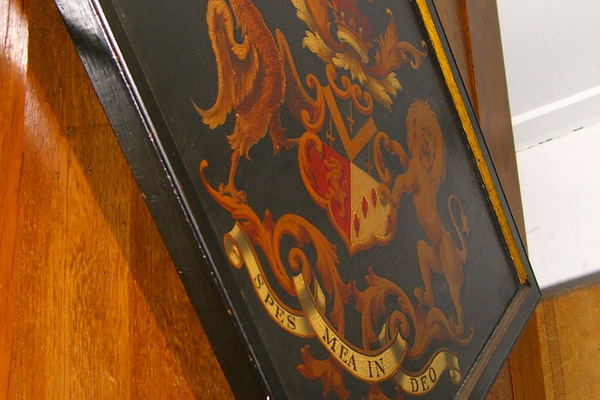 The town's oldest firm of funeral directors has conducted funerals from these premises since 1908. The original interior is Grade II listed. 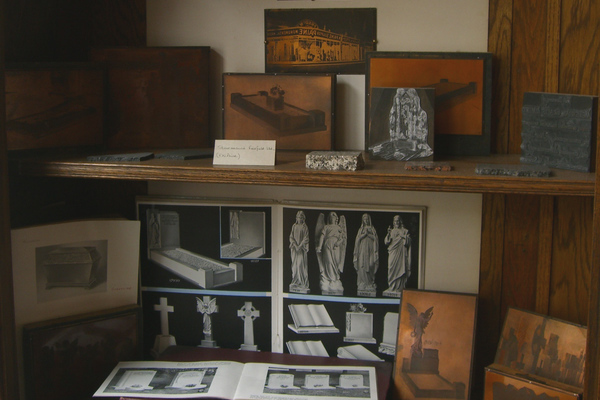 The building also contains the Frederick W Paine Museum and the firm's archive. Frederick William Paine was born on 4 April in 1870 on Burritt Road in Norbiton. 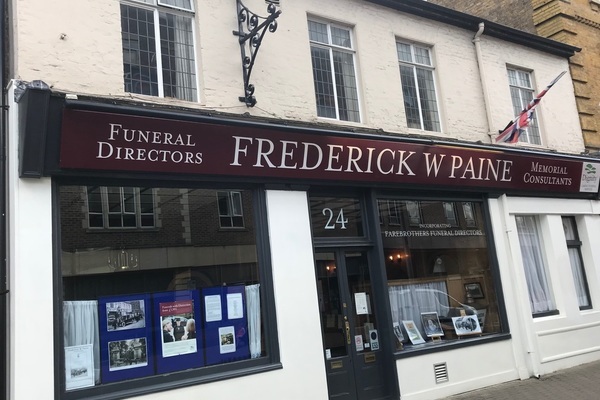 As the eldest of 11 children he took over the family business of house furnishers, estate agents and funeral directors at the age of 24 and developed their funeral service by opening a small outlet at Fountain Roundabout in New Malden. 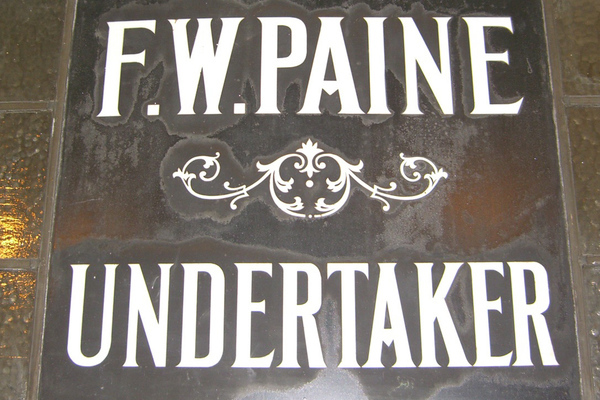 Opening this first shop locked Paine into a long-standing business feud with one C W Farebrother, an established local funeral director who seriously resented the competition. The rivalry came to a head when they both purchased premises within yards of each other on London Road in 1908 – Farebrother at number 21 (now Travelodge) and Paine at number 24, their current premises. Paine relished the challenge and expanded rapidly to serve the growing population of the area on both sides of the river. In response to demand for monumental masonry, Paine’s opened a large showroom at the Fairfield where Aldi now stands. Local people still remember the giant stone angel which dominated the window display for many years. 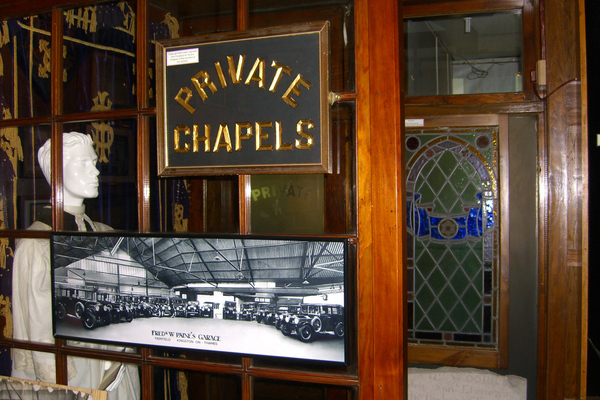 When the showroom closed the angel moved into private ownership. Last seen in Sussex! Where is she now? Though the company has changed hands and is now owned by Dignity it still has a feeling of family and community about it. 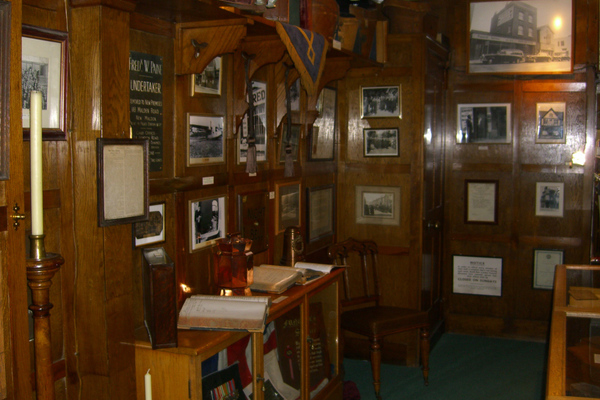 The wood panelled shop interior on London Road hasn’t changed much since Frederick died there in 1945. 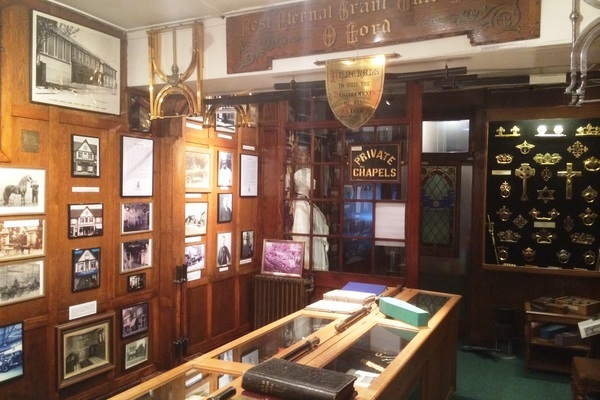 To the rear is the small and fascinating museum and is home to the company’s records covering every funeral undertaken since 1906. On designated Tuesday evenings, you can combine a visit to the museum with a 40 minute talk followed by questions and answers. It’s a captivating insight into changes in funeral practices as the company serves the area through two world wars, epidemics and inevitable social change. 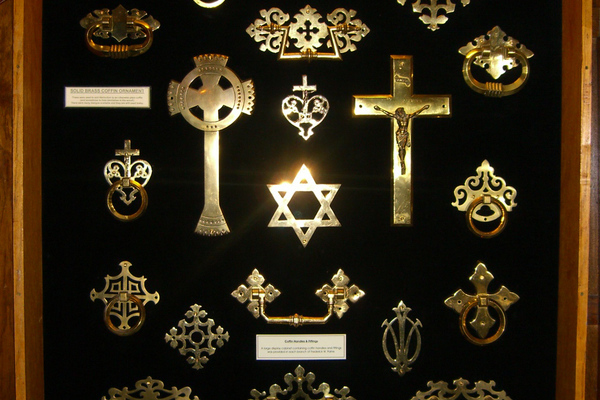 You’ll find out why cremation was a ‘slow burner’ for the Victorians and how embalming gained popularity in the UK after it was used on the battlefields of the American Civil War. Did you know it costs 3 times as much to be buried outside of your borough of residence and that one of the first cremations locally was that of John Langdon Down of Teddington?